In my #VivaVoxBox I scored 2 gorgeous nail shades from Pure Ice Cosmetics & I put them to the test for this weeks manicure. I started off with my base coat & followed it up with 2 coats of Afterhours. I then applied 2 coats of It’s Complicated towards the base of my nail. What do you think about the colors? 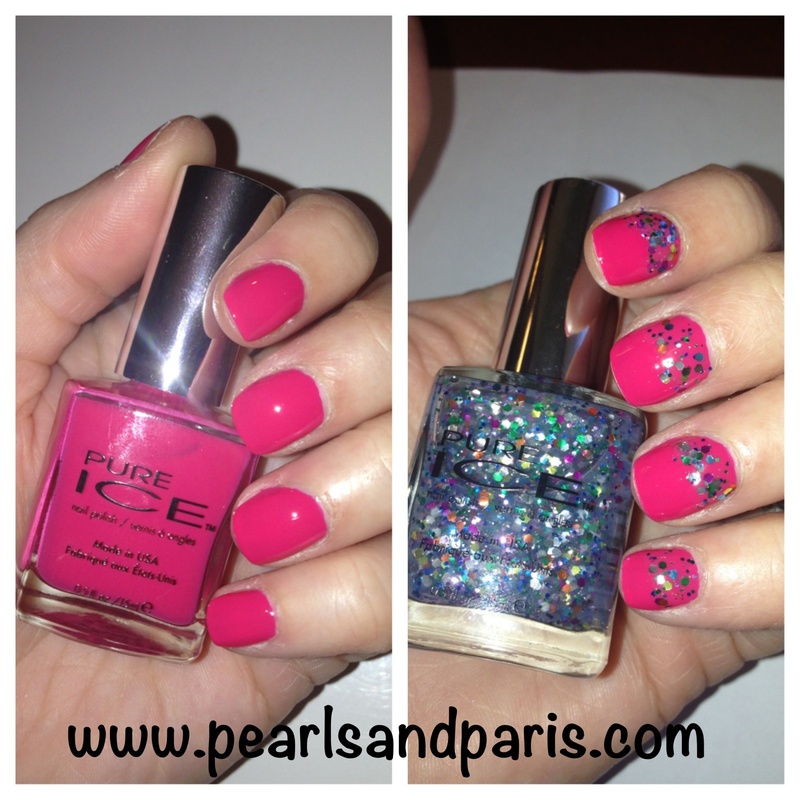 This was my first time using the Pure Ice polishes and OMG – I’m in love! The brush was perfect and the formula of the polishes was excellent. Afterhours went on smooth and the color packs a big punch! One coat would have sufficed but I always do 2 coats so it was just routine. I’m really looking forward to trying out other shades in the collection.